Short Product Description: Wonderfully fresh, outdoors scent! This large, long-lasting 6 oz. 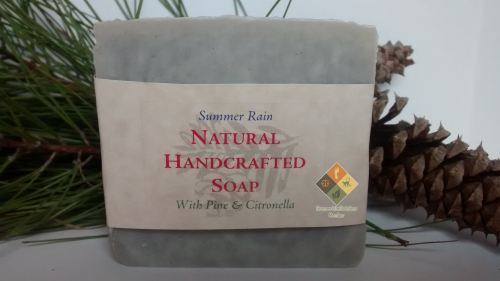 bar combines evergreen pine and citrusy citronella, which helps to repel ticks and mosquitoes in the summer time. Wonderfully fresh, outdoors scent! This large, long-lasting 6 oz. 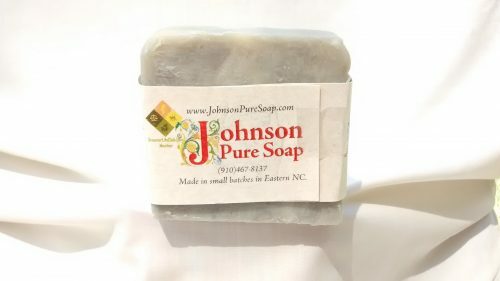 bar combines evergreen pine and citrusy citronella, which helps to repel ticks and mosquitoes in the summer time. A swirl of indigo powder gives it a natural blue hue. Our all-natural ingredient list is: Palm oil, water, coconut oil, sodium hydroxide, castor oil, pine essential oil, citronella essential oil, indigo powder. 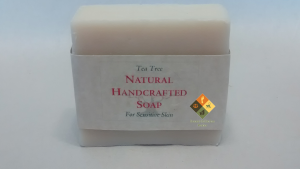 Please note that because our soap is handmade in small batches, each bar varies some in shape. Each one is shrink-wrapped and labeled. You’re gonna love how our soap makes you feel.